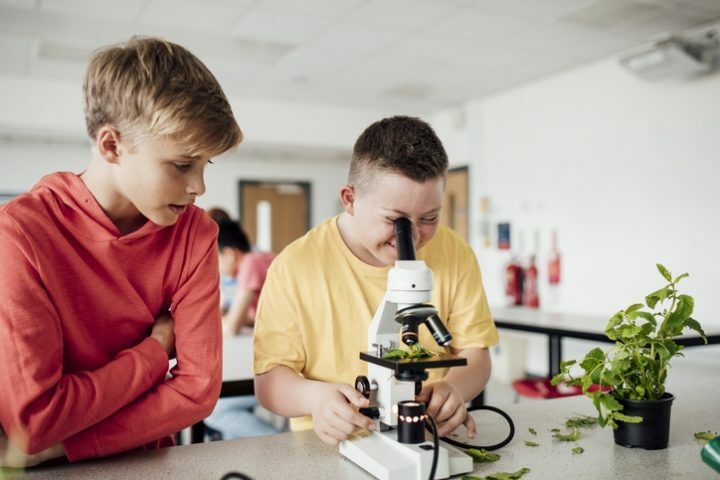 Educators should design science learning tasks and instruction that value learners’ sense-making repertoires, especially those of learners who receive special education services. District staff should create spaces for special ed and science teachers to leverage each other’s expertise and collaboratively design equitable science learning environments. School leaders & PD Providers should create learning opportunities for science & special ed teachers to explore ways to support diverse learners that go beyond behavior management. The Framework presents three-dimensional science learning as a vision of equitable science education for all learners. In order to achieve this justice-oriented goal, instruction must be designed in ways that enable multiple opportunities and avenues for engaging in deep and meaningful sense-making about the natural and designed worlds, rather than creating cognitive, physical, behavioral, neurological, developmental, and emotional barriers. Equitable science learning environments must include activities that foreground multiple ways of knowing, doing, and expressing understanding. How does thinking about disability from a social model rather than a medical model shift how you design learning activities and assessments? How can you design learning environments to leverage individual strengths? Who are resources within your communities and networks, such as students and the significant adults in their lives (e.g., parents, guardians), to better serve the needs of all learners? Adopt a Social Model for Disability. In this view, disabilities do not inherently reside in the individual. Rather, obstacles learners face are created by the tasks, pedagogies & cultural views within the learning environment—often in systematically haphazard & deleterious ways. Engage in Universal Design for Learning (UDL). UDL was created by CAST to support educators in creating learning environments that are accessible to all learners. UDL is less about differentiation, or retrofitting supports to make existing curriculum accessible, and more about designing learning environments and instructional strategies in ways that do not create barriers. While designing in this way will make the learning environment more accessible to all learners, it is important to center this work on students that have been identified to benefit from special education services. Leverage the strengths of learners. While there are some common barriers that are inherent to K-12 science education, knowledge of the individual characteristics of learners you serve should enable you to design environments that leverage their individual strengths. If you are a K-12 educator, you should start by consulting learners’ Individualized Education Programs (IEP) or Section 504 plan. These legal documents identify can help support this work. 3D science learning activities must be intentionally designed in ways that eliminate barriers to learning and that support all students, as opposed to creating add-ons that make materials accessible. Educators should identify and leverage cultural and communicative sensemaking repertoires students of all abilities bring to learning environments. Although students learn through a variety of means, stable “learning styles” have not been supported by research. Educators and curriculum designers may be unaware of how language and expressions may accidentally reflect prejudiced positions against people with unique learning needs. For more information please visit: Terms to Avoid When Writing About Disability and Disability Language Style Guide. Build on prior interest and identities. When planning for science learning activities it is essential incorporate student interest and identity into 3D science learning to encourage engagement. Use multiple representations. Before the start of a new science learning activity or unit, brainstorm different ways that you can represent information to make science learning goals comprehensible to learners with a wide range of learning needs. Engage in Expansive Assessment. As you design opportunities for formative and summative assessment, consider the different ways students can express their understanding to support ways that learners approach and navigate learning environments. Create 3D assessment opportunities that are attentive and responsive of the diverse ways that students make sense of the world. Design science learning activities that reflect accurate narratives and representations of the diversity of STEM professionals, including those that may identify with having a disability or a learning need. Consult the publications Working Together and The Winning Equation to understand how lab equipment can present accessibility challenges for students to participate fully in an investigation.